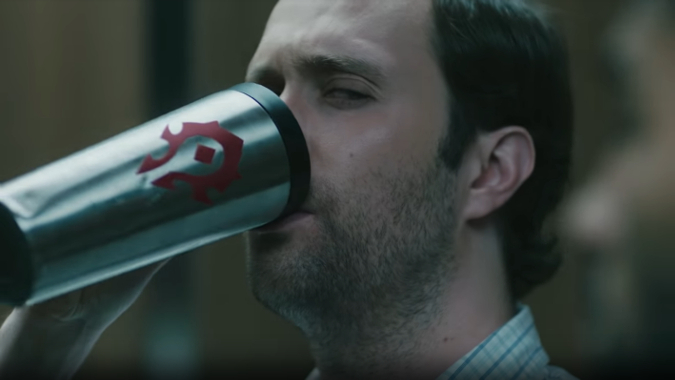 Blizzard Entertainment is surely gearing up for its final Battle for Azeroth marketing push in the coming weeks, and in that vein, World of Warcraft has released four new live-action advertisements of the expansion. Each one of these commercials leans hard on the faction war aspect of the game, attempting to inject humor and levity in players’ allegiances. While these commercials are cute (see them at the end of the post) — particularly “Kid’s Choice” with the plushies — I really can’t help but feel uncomfortable watching them. The faction divisions in-game are one thing, but placing those divisions in reality is a little too… well, real. Is there comedy in such a trivial difference keeping people apart? Yeah, of course. But it’s also sad, isn’t it? And, as someone who’s been a part of the World of Warcraft community in some capacity since its inception, these commercials are also salt in old wounds. They’re reminders that some people take the Horde vs Alliance game mechanic far too seriously, reminders of harassment both online and offline for something as petty as virtual red versus blue, whether it was directed at me, or a friend, or a complete stranger. These commercials are reminders of actual friendships lost, or friendships given no chance to flourish at all as the result of coded communications barriers. They’re reminders of a rock star using homophobic slurs to describe people who play the other faction and wishing them bodily harm — and Blizzard Entertainment using clips of the interview at BlizzCon, where you’d hope people would come together for a love of games, but are made unwelcome by continuously pushing this angle of division. That episode happened seven years ago, yet nothing has really changed — World of Warcraft still encourages that so-called passion and “faction pride” that caused such a sentiment. These commercials are a time warp, a flashback to the height of Blizzard-sanctioned hatred. Does everyone in the community take this so seriously? Surely not. But enough of them do to have caused real harm to real people and continue to do so. Blizzard sees driving a wedge between people as not simply a marketing opportunity, but their strongest selling point — a consistent message they’ve used and fomented for well over a decade. Sure, the ads were cute, but once the videos stopped playing, I could only wonder what was wrong with us.